6 What Is the Best Time To Take Hair, Skin and Nails Vitamins? 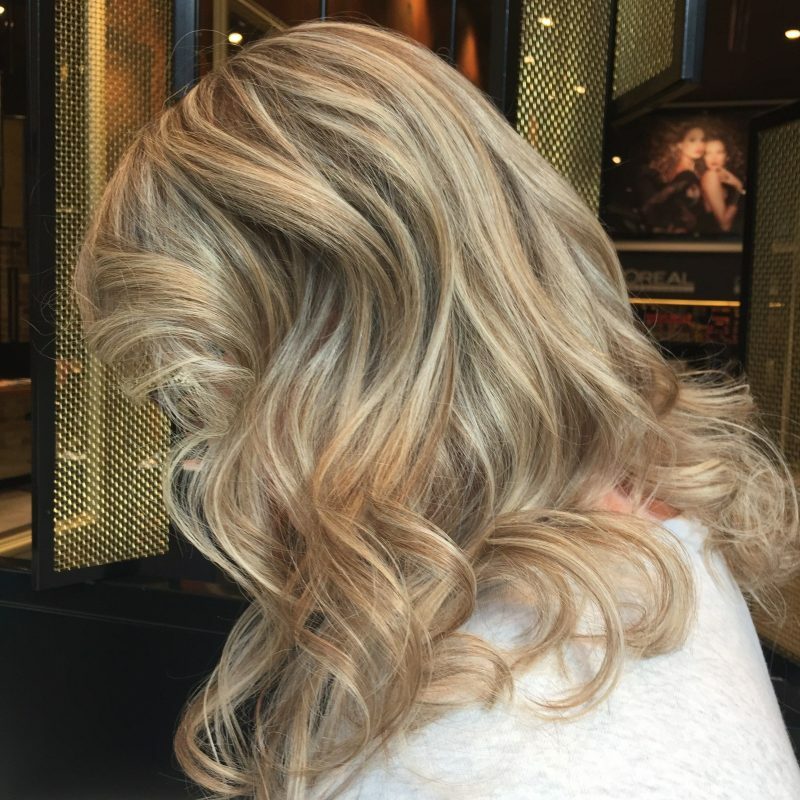 Using the best hair skin and nails vitamins Australia has to offer is so effective in helping achieve our beauty goals of luscious hair, clear luminous skin and strong healthy nails. Sometimes our own DNA, diet and topical beauty treatments just aren’t enough to deliver the results we want. We may be deficient in certain nutrients, have various medical conditions, have undergone recent surgery (general anesthetics are the worst for our hair, skin and nails) or be taking antibiotics or other medication that results in our hair, skin and nails suffering. In these circumstances using the best hair, skin and nails supplement Australia has to offer can be our saviour! I started using a hair, skin and nail vitamin because my nails were brittle and constantly breaking and splitting. Since taking this beauty vitamin for the past 8 months my nails are so much stronger and no longer chip or split! Click HERE to see my personal favourite hair, skin and nails vitamin. One of the most often asked questions regarding beauty supplements is how do you know what is the best hair, skin and nail vitamin to suit your needs? Which hair skin and nails supplements are worth buying and which skin, hair and nail vitamin isn’t? To help you determine which beauty vitamins are the best for you I have compiled the following comprehensive guide to the best hair, skin and nails vitamins. 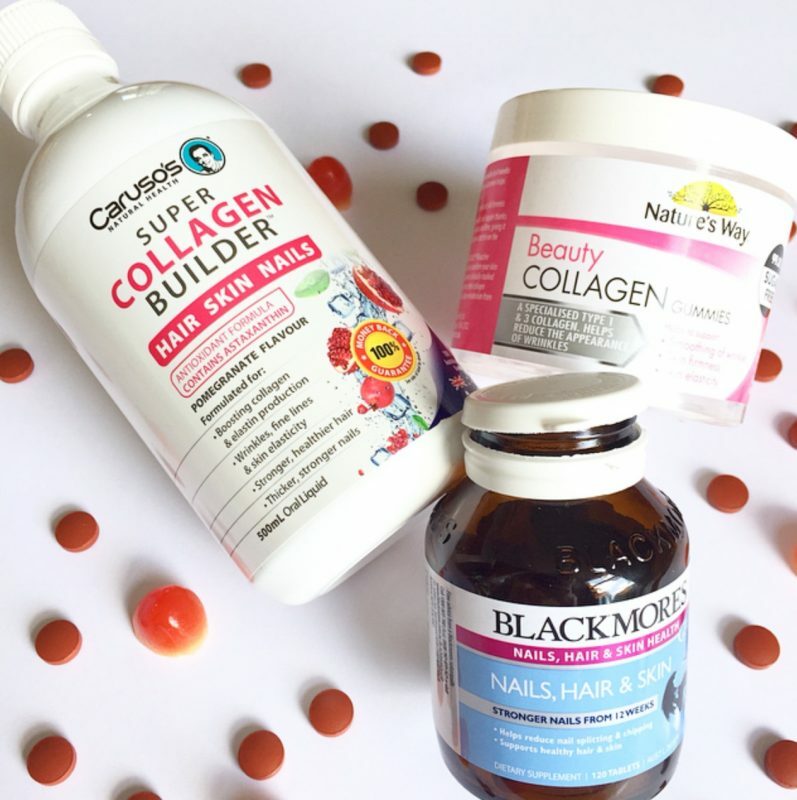 This best hair, skin and nails vitamins Australia table enables you to compare the quantity, form, recommended serving & key ingredients of the best hair, skin and nails supplements currently available in Australia to help you choose the best beauty supplement for your specific needs. Click on the links for current prices & to check out the whole list of exact ingredients in each vitamin. Hair, skin and nails vitamins come in a variety of different formats including tablet, gummy, liquid and powder. There is no one perfect beauty vitamin format. It really depends on the individual taking the vitamin. By knowing the advantages and disadvantages of each different hair, skin & nails formula, it will be easier for you to zero in on which format is best for you and which is the best hair skin nails supplement Australia wide for you. In hair, skin and nails tablets the active ingredients are combined with another substance and pressed into a round or oval solid shape. retain their potency over a longer time than liquids & powders. can be hard for some people to swallow. 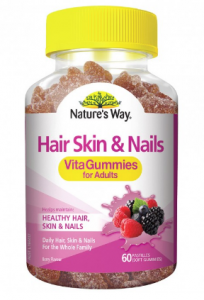 Gummy hair, skin and nails vitamins are also known as chewable hair, skin and nails vitamins. As their names suggest they are in the form of a chewable gummy. usually have some sugar and flavourings added which health conscious people may want to avoid. In hair, skin and nails liquid vitamins the active part of the vitamin is combined with a liquid. often have some sugar and flavouring added which health conscious people may want to avoid. Powdered vitamin formats usually need to be mixed with liquids or sometimes can be sprinkled over other foods. also less convenient as the powder needs to be mixed into a liquid. 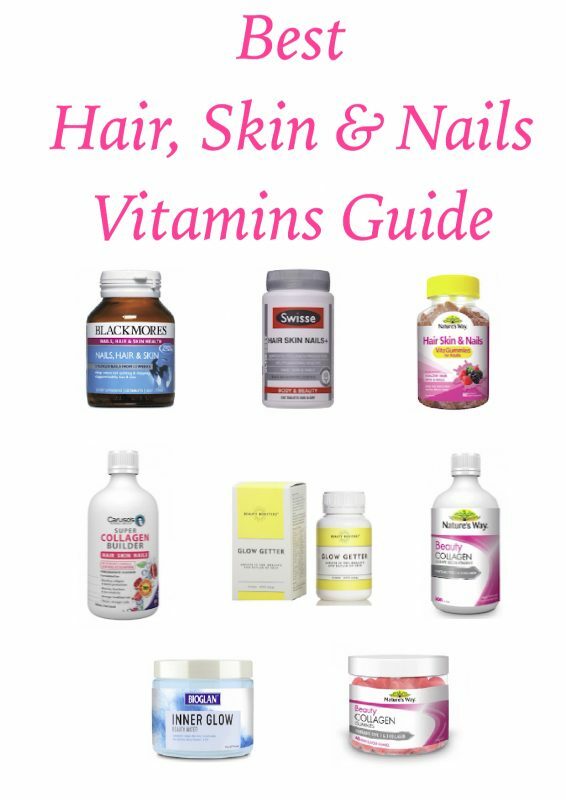 The recommended best hair, skin and nails vitamins in the above chart all include a variety of key ingredients which have different hair, skin and nails beauty benefits. To assist you to choose which best hair, skin and nails product will best match your beauty needs I have compiled an alphabetical list of all the key ingredients and their beauty benefits. Astaxanthin is a powerful antioxidant. It helps fight free radicals and may help skin health and support the moisture content of your skin. It may also assist with wrinkles and skin elasticity by protecting the skin. Biotin is an amazing and powerful ingredient. It maintains healthy hair, nails and skin and it stimulates hair and nail growth. Biotin maintains hair health by assisting to regulate scalp oil production. It also helps reduce hair loss. Biotin is a key ingredient in vitamins good for hair growth and strength. Biotin assists in improving the condition of soft brittle nails. It can also help achieve glowing, wrinkle free skin. Vitamins containing biotin are the best vitamins for healthy nails and the best vitamins for nail growth and strength. The best hair vitamins Australia has to offer also usually contain biotin. These include the best vitamins for hair strength and growth, and also the best vitamins for hair regrowth. So if you’re after the overall best hair supplements Australia wide or the best hair growth supplements Australia has to offer look at the ingredients list to ensure it contains biotin. Collagen makes up 75% of our skin, 90% of our ligaments and 3% of our bones. It is a vital functioning protein in our bodies. Collagen is responsible for our skin’s elasticity. It is known to give our skin a radiant and vibrant boost. When we are young we have an abundance of collagen resulting in our skin being taut and feeling soft, smooth and supple. As we age our collagen may decline and our ability to produce collagen decreases. This results in the first visible signs of ageing. It has an impact on our skin, hair and joints leading to sagging skin, wrinkles and fine lines, thinning hair and aches and pains. Collagen supplements aim to increase collagen levels, as well as stimulate further natural production of collagen, enhancing skin elasticity and hydration levels from within. Collagen can help improve the health of your hair, skin and nails. French Marine Pine Bark is a powerful antioxidant which fights free radicals and may help skin health. French Marine Pine Bark has also been reported to reduce hyper pigmentation of the skin, repair existing skin damage and increase skin elasticity. It has been shown to increase the production of collagen. Horsetail contains many nutrients and minerals. It is an antioxidant and anti-inflammatory. Horsetail can help strengthen brittle nails. The main ingredient of horsetail is the mineral silica which helps grow healthy hair and strengthens hair strands. Silica horsetail also contains collagen and has the benefits as listed for collagen above. Iron is essential for healthy hair, skin and nails. It helps give your skin a healthy glow. Anemia caused by iron deficiency may result in pale skin and dark circles under your eyes. Iron also helps fight hair loss and has numerous non beauty related benefits too. 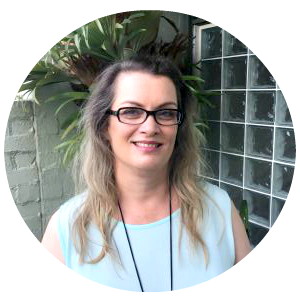 Using The Best Hair Vitamins Australia Has To Offer Makes Such A Difference! Silica plays an important role in keeping your nails, teeth and hair robust and healthy. Silicon is involved in the formation of collagen. St Mary’s Thistle is a powerful antioxidant. Riboflavin is essential for healthy skin. It assists in tissue repair such as growth of hair, skin and nails. Vitamin B5 is vital for cellular energy. Vitamin C is involved in the production of collagen and may assist in the maintenance of collagen and connective tissue. Vitamin C, and/or collagen, are often contained in the best vitamins for skin. Vitamin E contributes to cell protection from free radical damage. It boosts the production of collagen and can help stimulate hair growth, prevent premature graying of hair and give hair a lustrous sheen. Antioxidant activity supports healthy skin renewal processes. Zinc can also help lessen acne. It is important to note that it will take time for you to start seeing the benefits of taking hair, skin and nail vitamins. You could be taking the best hair skin and nails supplement Australia offers but if you don’t take it for long enough you won’t see any beneficial results. Unfortunately you will not see the desired results in one day, one week or even one month. 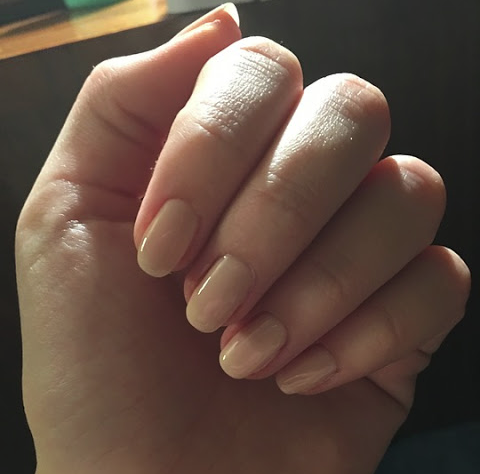 Hair and nails take a long time to grow, so seeing improvements from taking hair and nails vitamins and seeing an improvement in your hair and nail strength will also take time! Clinical trials have found it takes approximately 12 weeks to improve your nail strength. I have read through hundreds of nails, hair and skin vitamins reviews online. Many of these hair skin and nails supplements reviews state the person stopped taking the vitamins after one or two months of seeing no results but the best hair skin and nails vitamins reviews where women took these beauty vitamins for three months or longer are the reports where reviewers are all raving about their results! My experience concurs with these reviews and clinical trials. Personally it was after taking my hair, skin and nail vitamin for about three months that I started seeing the benefits of stronger nails, stronger & healthier hair, and more radiant skin too. So my strong advice is to keep taking hair, skin and nail vitamins for at least three months to see the full benefits. What Is the Best Time To Take Hair, Skin and Nails Vitamins? The answer is the timing doesn’t make that much difference but do try to get into a regular routine so you don’t forget to take them. Follow any instructions about timing on the bottle/jar. As stated earlier there is really not one perfect beauty vitamin for everyone. It really depends on the individual taking the vitamin, what exact benefits they are wanting from the vitamin and what form of vitamin they prefer. This is the reason why I have provided so much comprehensive information in this article to help you to decide which hair, skin and nail vitamin is best for you. I am however going to make a couple of recommendations of the best hair, skin and nails vitamins for specific circumstances. The reason for this is that they work well for improving the condition of your hair, nails and skin and one jar contains 3 months worth of these beauty vitamins. 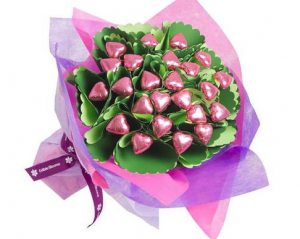 As a result you are less likely to stop using them before you reach the three month mark. By three months you should be experiencing visible signs of the benefits: stronger nails, healthier hair and skin. 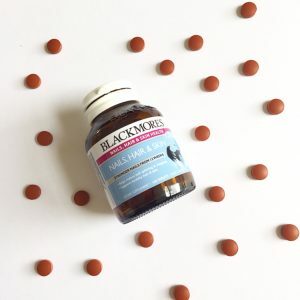 Every Blackmores hair skin nails review I have read where the participants have taken the vitamins for 3 months or longer has been positive. 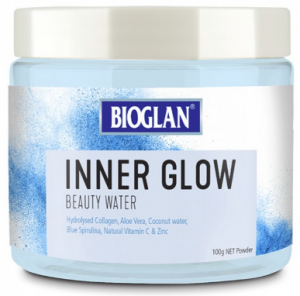 I have finished several bottles of this liquid beauty supplement and I have previously written an article about Beauty From Within – Caruso’s Natural Health Products HERE. 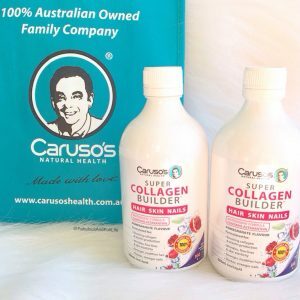 I believe this Caruso’s product is one of the best collagen supplements for skin and hair Australia offers. Swisse Ultiboost Hair Skin Nails+ 100 Tablets. 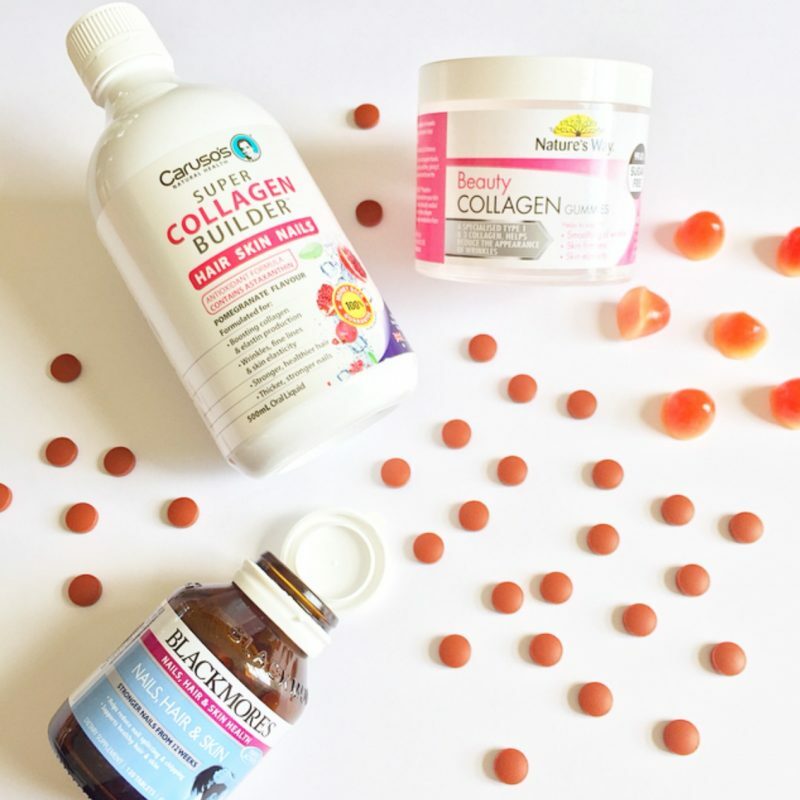 Nature’s Way Beauty Collagen Berry Gummies. The first reason is that these choices are easily portable, involving no measuring or mixing. They are extremely easy to pop into your handbag either in the original container or in a plastic snap lock bag. They have the benefit of looking like lollies rather than tablets or medicine so you are unlikely to get questioned as to why you are carrying them and what they are for. Do you use beauty vitamins and supplements? What is the best hair, skin and nails product for you? Great guide Ingrid, my nails need lots of help at the best of time and particularly now after packing and unpacking for our move. Time to break out the Blackmores again. Such a good guide. I love how you broke it down to cost per day. Thanks for such a helpful post about beauty vitamins. I especially like that they're available in gummy form too. Great guide and I alternate between multi vitamins or hair, skin and nails. Thanks for the tips! I was just starting to do research into this topic! Now I don't need to – love this comprehensive overview! I'm really lucky I have great hair (maybe even a bit too much) and healthy, strong nails. I've never thought about taking vitamins for hair and nails but if I do decide to get some, I know where to come for stellar advice! Great guide and massive thanks! My hair has just started growing back post-radiation, in January. I had no hair at all for 3 months. I am considering a new hair specific supplement to speed things along. I definitely think these have a much slower and long term solution as opposed to those people who want to see quick immediate results. I've never tried it myself, but it looks interesting. This brilliant! Im always umming and ahhing on what product will be the best for my needs. Thank you for breaking the info down so I can make a more informed choice. Well done!! I've used some in the past and haven't really noticed a difference, but now I'm using the Viviscal ones and I reckon they are actually helping! 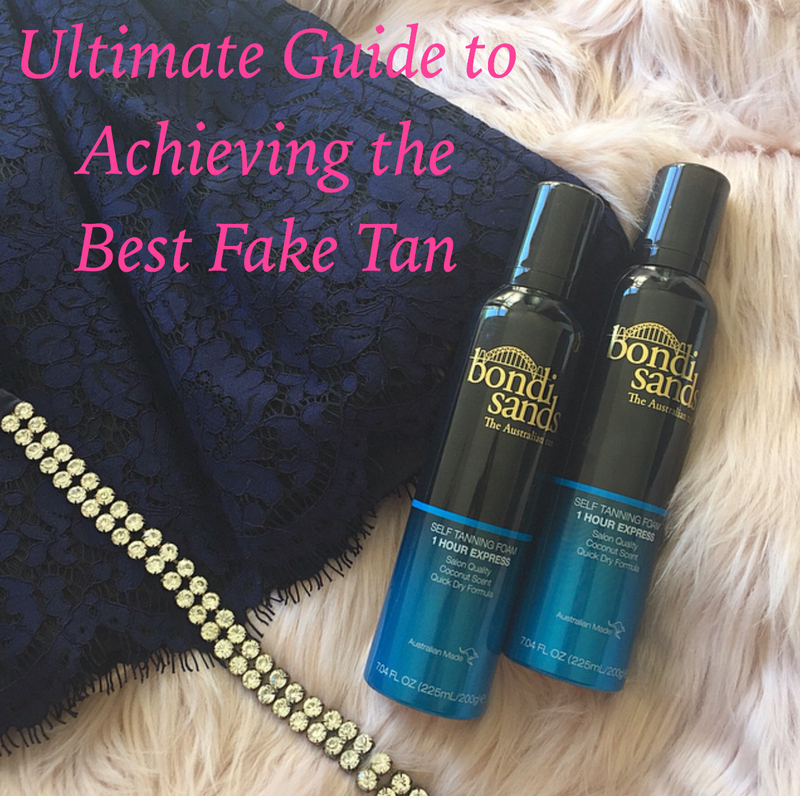 This is such a great comprehensive guide! Love the info about what each key ingredient actually does, great to refer back to!